Venturing into the domain of the mighty Kong, a team of scientists explore an uncharted island in the Pacific and must fight to escape a primal Eden. For the first time since Peter Jackson’s 2005 remake, our favorite enormous simian returns with 2017’s Kong: Skull Island. 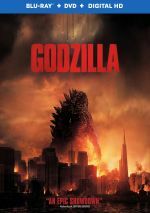 Set in 1973, Bill Randa (John Goodman) runs a secret government agency called MONARCH, and along with colleague Houston Brooks (Corey Hawkins), he gets approval to undertake an unusual mission. Satellite imagery reveals a mysterious island in the South Pacific, one which Randa believes will produce major scientific information when explored. To enter this potentially dangerous location, Randa assembles a team. This group includes soldiers fresh from Vietnam who serve under Colonel Preston Packard (Samuel L. Jackson). The team also features mercenary tracker James Conrad (Tom Hiddleston) and photographer Mason Weaver (Brie Larson). 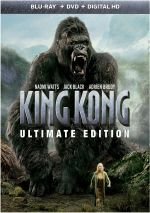 When assembled, the crew heads to this unexplored location, and they encounter danger from the start, mainly at the literal hands of a super-sized ape named Kong. We follow the team’s efforts to survive as they deal with Kong and a slew of other natural perils. Coming into Skull Island, a collective “not another Kong movie!” cry could be heard throughout the land. 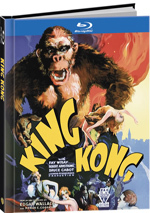 Not that Hollywood has beaten the property to death, but with remakes in 1976 and 2005 as well as occasional spinoffs, the idea of a new Kong sounded stale. To its credit, Skull Island doesn’t offer another remake of the 1933 original. 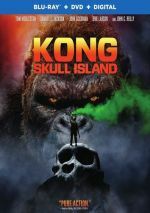 Both the 1976 and 2005 movies offered similar tales, whereas – true to its title - Skull Island differs, as it lacks the usual NYC-based third act. That said, Skull Island can feel like a version of Kong that focuses almost totally on its predecessors’ second acts. Yeah, it offers different reasons for the characters to go to Skull Island, and – spoiler alert? – they don’t capture Kong at the end, but we still get the action-based antics on the tropical location that remind me of the midsections of the other movies. This structure comes with potential to succeed, mainly because it allows for a better action orientation. The scenes on Skull Island in the prior Kong films tended to come with good excitement as Kong and the humans battled the exotic creatures – particularly in the 2005 version, which really came to life in these dynamic sequences. A movie that concentrates on this sort of material seems likely to entertain, but in the case of Skull Island, the approach doesn’t work. 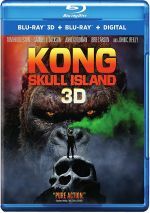 Maybe prior Kongs got the balance right and we only want a taste of Skull Island – or maybe this film just lacks the requisite sizzle. Whatever the case may be, the movie’s action doesn’t quite thrill like it should, and I suspect some of the blame comes from the extended cast and the forgettable characters. Of the whole bunch, only one of them connects with the viewer: Hank Marlow (John C. Reilly), an American soldier who got stuck on the island almost 30 years earlier. We invest in Marlow for one reason and one reason alone: Reilly. For years, Reilly has been able to make something out of little/nothing with his roles, and he does so once again with the semi-cliché Marlow part. Reilly gives the movie much needed humor, heart and pathos – he becomes easily the best of the humans we find. The rest seem relentlessly mediocre. With Hiddleston, Larson, Jackson, Reilly and Goodman in tow, Skull Island comes with a core of talented actors, and it abets the cast with able supporting performers. Alas, other than Reilly, not a single one brings anything memorable to their fairly cliché roles. They all seem forgettable and leave a hole in the heart of the film. A hole that our title character can’t fill, too. At his best, Kong needs to become sympathetic and engaging, but that doesn’t happen during Skull Island, as its Kong feels semi-anonymous and not especially interesting. I think this occurs partly – or perhaps largely – because Skull Island avoids the traditional “human love interest” for Kong. Instead of the traditional Fay Wray/Jessica Lange/Naomi Watts role, the film leaves us without someone to connect to Kong. Sure, Skull Island makes some nods in that direction, as it implies a minor link between Kong and Mason. However, the movie fails to explore this theme, so we never invest in their relationship. To some degree, this may seem refreshing, as it avoids the potentially tired “beauty and the beast” notion. In reality, however, the decision flops because it leaves the viewer without a clear way to invest in Kong. When we see the ape bond with the beauties, we feel the emotional connection. In this film, we lack that bond, so Kong feels like an anonymous creature we kinda sorta like and that’s about it. If you see the IMAX poster for Skull Island, you’ll discern an intentional emulation of the ads for Apocalypse Now. The connections go beyond the promotional realm, as Skull Island demonstrates obvious nods toward the Coppola classic. No, this doesn’t mean Skull Island remakes Now, but it sure does work overtime to create throwback moments. Many stylistic connections exist, and aspects of the story – mainly related to the river-based journey and elements of obsession – directly echo Now. Is it a coincidence a lead character gets the name “Conrad” – as in Joseph Conrad, whose Heart of Darkness heavily influenced Apocalypse Now? Nope. These nods seem self-conscious and not very effective. Director Jordan Vogt-Roberts suffers from delusions of grandeur and would’ve been better off without the weird cinematic fetishes he shows here, mainly because they just don’t work. Reimagining Kong as a metaphor for Vietnam never gets off the ground, and the failed thematic aspirations turn into another reason the film meanders. I don’t want to imply that Skull Island ends up as a waste of time, for even with its flaws, it still manages moderate entertainment. It comes with fine production values and delivers believable effects, action and thrills. Unfortunately, the lack of heart and personality at the movie’s core leave it adrift. Skull Island provides occasional excitement but it never connects like it should. Footnote: stick through the conclusion of the end credits for a teaser that points toward future monster movies. 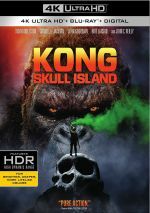 Kong: Skull Island appears in an aspect ratio of approximately 2.40:1 on this Blu-ray Disc. As befit a modern, big-budget movie, Skull Island looked great. At all times, sharpness satisfied. Even the widest shots still boasted fine delineation, with nary a sign of softness to be found. I saw no shimmering or jaggies, and both edge haloes and print flaws remained absent – well, unintentional print flaws, at least, as “archival elements” showed “defects”. Obviously those didn’t count, since they got added to artificially age some clips. In terms of colors, Skull Island hewed toward an “olive drab” feel. In addition, it threw out other tones like some bold reds, purples and pinks, all of which came across with great vivacity. Add a bit of the usual orange and teal to the mix and we got a well-reproduced color scheme. Blacks showed nice depth, with a good level of darkness across the board. Low-light shots demonstrated appropriate density and gave us clear, smooth shadows. I felt totally pleased with this terrific presentation. Even better, the film’s Dolby Atmos soundtrack – downconverted to Dolby TrueHD 7.1 – brought a lot of sonic fireworks to the proceedings. From the opening WWII dogfight scene to helicopters to various creatures to gunfire to Kong himself, the mix packed in all sorts of auditory material. This meant all the channels played a very active role in the proceedings and meshed together well. The various speakers threw in nearly constant information and created a lively setting, with many rock-em, sock-em moments. These combined to form a simply stellar soundscape. Audio quality followed suit and lived up to the quality of the soundfield. Music appeared bold and full, with nice range and clarity. Dialogue came across as concise and distinctive as well. Of course, effects led the way, and those elements showed excellent reproduction. The components appeared accurate and dynamic, with top-notch low-end response as well. This was a totally terrific track. The package provides both the 2D and 3D versions of Skull Island. The picture comments above reflect the 2D presentation – how did the 3D image compare? Overall, visual quality seemed very similar. The 3D version took a tiny hit in terms of darkness, and a couple of shots looked slightly softer, but the vast majority of the time, I thought they offered virtually identical material. As for the stereo imaging, Skull Island added some zing, though I wouldn’t call it a great conversion. At its best, the movie boasted fun elements – mainly related to flying objects – and these gave the image a good kick. However, I didn’t think this was the most natural 3D conversion. The picture took on a bit of a “Viewmaster” feel at times, so it didn’t seem as real as I’d prefer. Still, I liked a lot of the stereo presentation, so if I watch the movie again, I’ll opt for the 3D version. With the 2D disc’s extras, we find an audio commentary from director Jordan Vogt-Roberts. He presents a running, screen-specific look at story/character and influences/inspirations, visual design and cinematography, sets and locations, cast and performances, various effects, period details, creature design, and related topics. Active and involved, Vogt-Roberts provides a solid commentary. He openly acknowledges his many, many influences and even points out plenty of obscure references. Vogt-Roberts touches on a good variety of domains and works through a lively, informative chat. Some featurettes follow, and these begin with Creating a King. It breaks into two parts: “Realizing an Icon” (11:39) and “Summoning a God” (12:47). Across these, we hear from Vogt-Roberts, producer Alex Garcia, production designer Stefan Dechant, VFX supervisor Jeff White, animation supervisor Scott Benza, model supervisor Lana Lan, creature supervisor Karin Cooper, compositing supervisor Nelson Sepulveda, lead artist Votch Levi, and actors Brie Larson, Tom Hiddleston, Samuel L. Jackson, Marc Evan Jackson, John C. Reilly, Corey Hawkins, John Goodman, and Jason Mitchell. “King” examines the “reboot” and story/character choices, creature design and execution and other effects/visual choices. Most of “Icon” seems semi-fluffy, but “God” digs into technical issues well, so it becomes the more satisfying of the two. After this comes On Location: Vietnam, which runs five minutes, 38 seconds and features Vogt-Roberts, Larson, Garcia, Hiddleston, Mitchell, key location manager Leann Emmert, and actors Eugene Cordero and John Ortiz. As expected, this looks at the Asian part of the shoot. It lacks substance and does little more than tell us how amazing Vietnam is. The next two programs focus on the actors. Tom Hiddleston: The Intrepid Traveler fills six minutes, 53 seconds with details from Hiddleston, Larson, and Hawkins. “Traveler” acts as a bit of a “video journey” that follows Hiddleston to different locations. A few decent glimpses appear along the way, but don’t expect much from the program. Through the Lens: Brie Larson’s Photography lasts two minutes, 19 seconds and features Vogt-Roberts. “Lens” offers a look at the stills Larson took during the shoot, and it offers a short but intriguing view of this topic – who knew Larson actually used the camera given to her character? During the seven-minute, 58-second Monarch Files 2.0, we get faux “archival” clips that discuss aspects of the movie’s creatures and locations. These feel like promotional bits you’d see on the Internet – they’re more fun as a teaser for the film than anything else. Four Deleted Scenes occupy a total of three minutes, 45 seconds. In these, we get short bits that offer minor character beats. None of them seem memorable. The disc opens with ads for Geostorm and the Skull Island: The Birth of Kong graphic novel. No trailer for Skull Island appears here. A semi-reboot of the long-established franchise, Kong: Skull Island fails to ignite. Despite many positive attributes, the film lacks the emotion and humanity to become more than empty calories. The Blu-ray boasts excellent picture and audio as well as a pretty positive package of supplements. Skull Island occasionally entertains but it works less well than I’d hope.